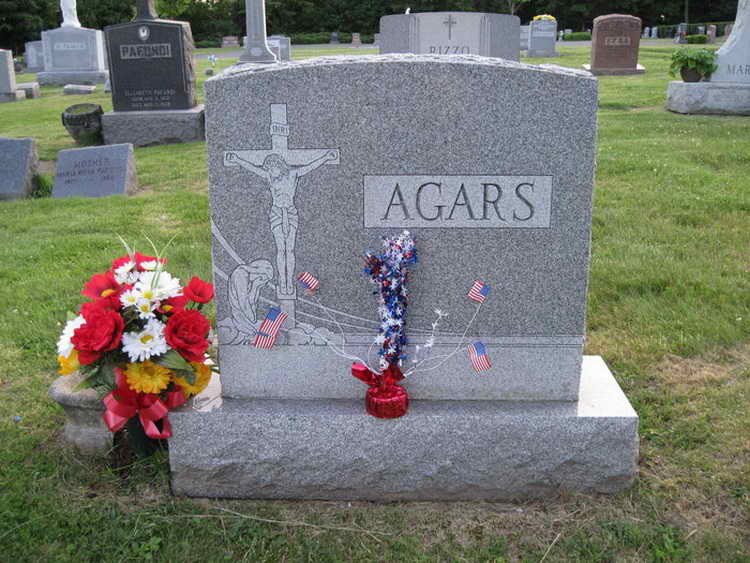 AGARS --- at the V.A..hospital, Oct 15, 1965, Capt. 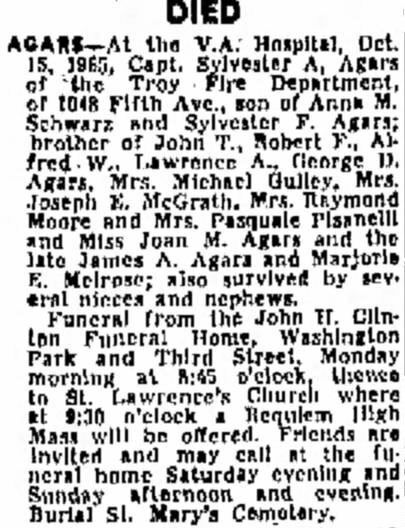 Sylvester A. Agars of the Troy [NY] Fire Department, of 1048 Fifth Ave., son of Anna M. Schwartz and Sylvester F, Agars; brother of John T., Robert F, Albert W, Lawrence A, George D. Agars, Mrs. Michael Gulley, Mrs. Joseph E McGrath, Mrs. Raymond Moore and Mrs. Pasquale Planelli and Miss Joan Agars and the late James A. Agars and Marjorie E. Melrose; also survived by several nieces and nephews. 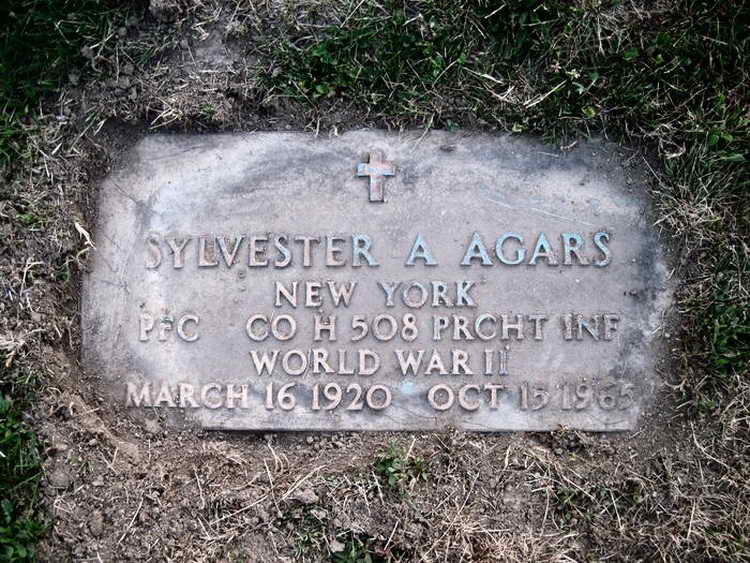 Grave markers for Sylvester A. Agars in Section G of Saint Mary's Cemetery, Troy (Rensselaer county), New York. Sylvester was a member of Company H when he had a parachuting accident In which his parachute failed to open. He was confined to the Oliver Genera! Hospital. Augusta, GA and after recovery was transferred to the 513th PIR.